An ominous purple river that exists deep within the Aberration Ark. It is poisonous and deadly to swim in as it will melt your hazard suit and kill seasoned tames very quickly. It is here that you find the Rock Drake nests. If you have played Scorched Earth, you may recall how easy it is to gather Wyvern eggs, but your first Rock Drake may be one of the biggest challenges you have ever faced if you're crazy enough to do it alone. Rock Drakes will be everywhere and in massive numbers. When you take your first egg, be ready to run or die, as there is very little one can do about 15 angry Rock Drakes if you get caught. If you are being bullied by Seekers, hanging out on the edges of this region may help, but then you have to deal with Rock Drakes. Displayed are the locations for Aberration. 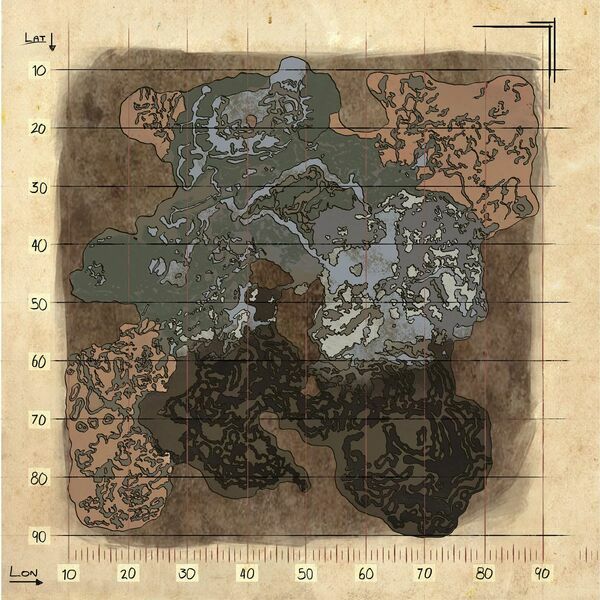 For locations on other maps, please see The Island, The Center, Scorched Earth, Ragnarok or Extinction. This page was last edited on 1 February 2019, at 14:21.